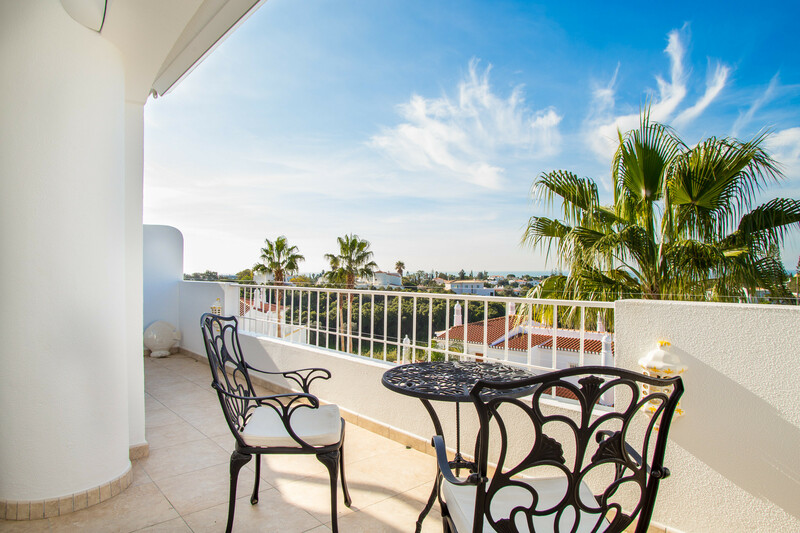 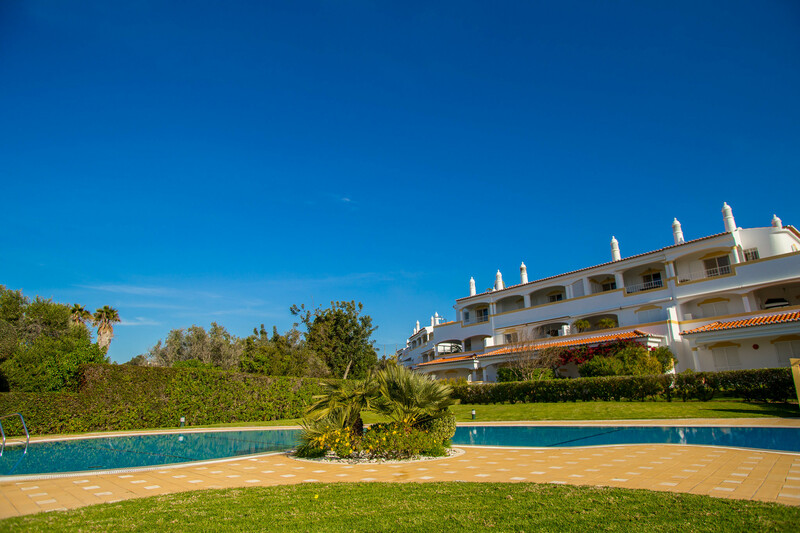 Apartments in Carvoeiro - Vila Golfemar is a 1-bedroom apartment with stunning views. 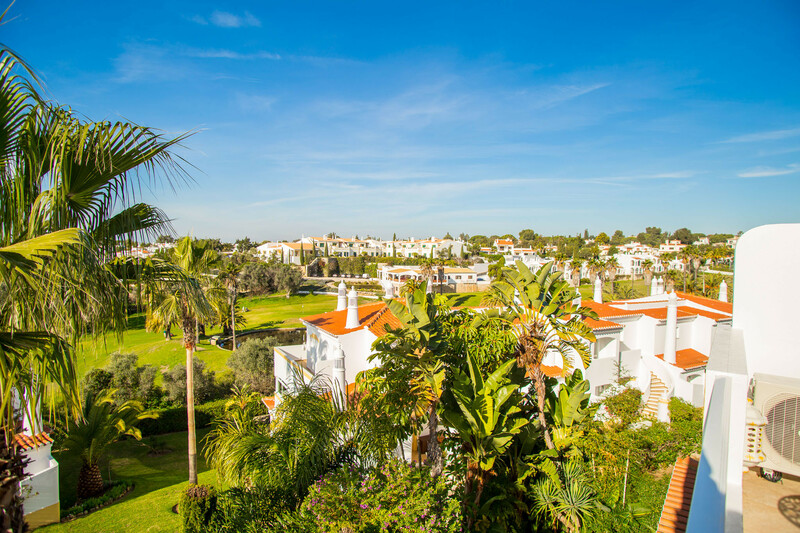 This is an immaculate, luxurious and fully-equipped 1-bedroom apartment with stunning golf course and ocean views. 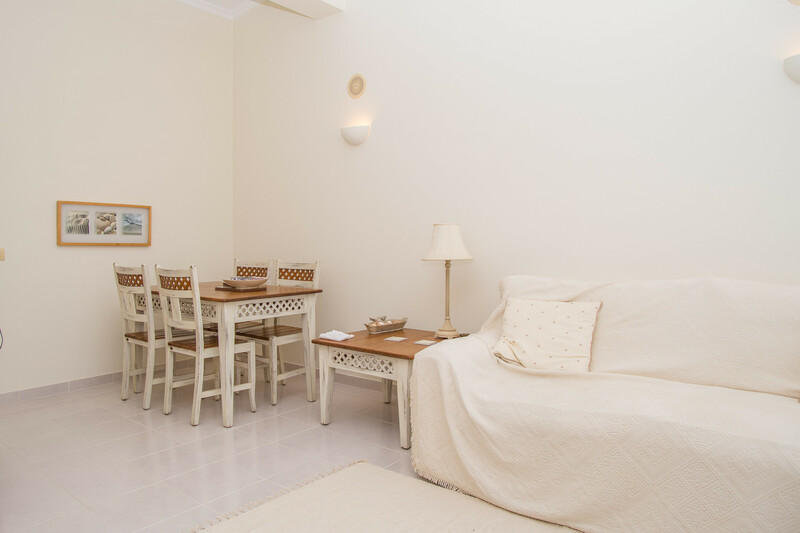 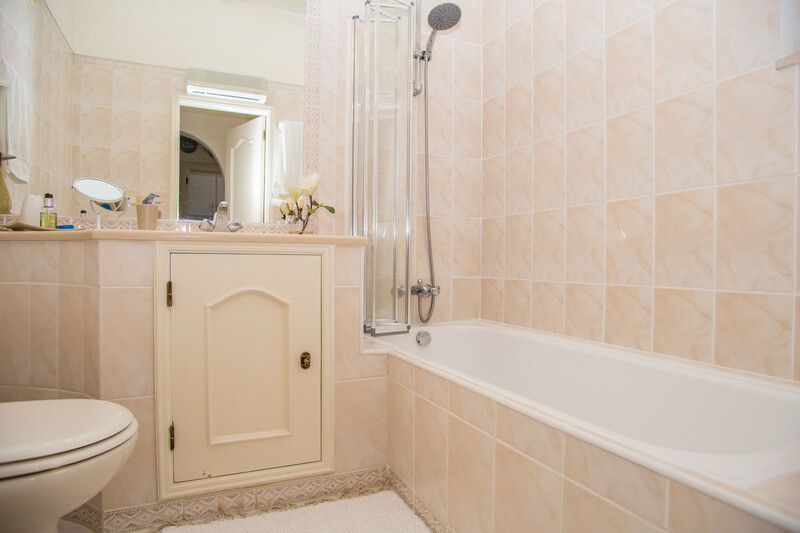 The apartment has air conditioning throughout and basic UK television channels. 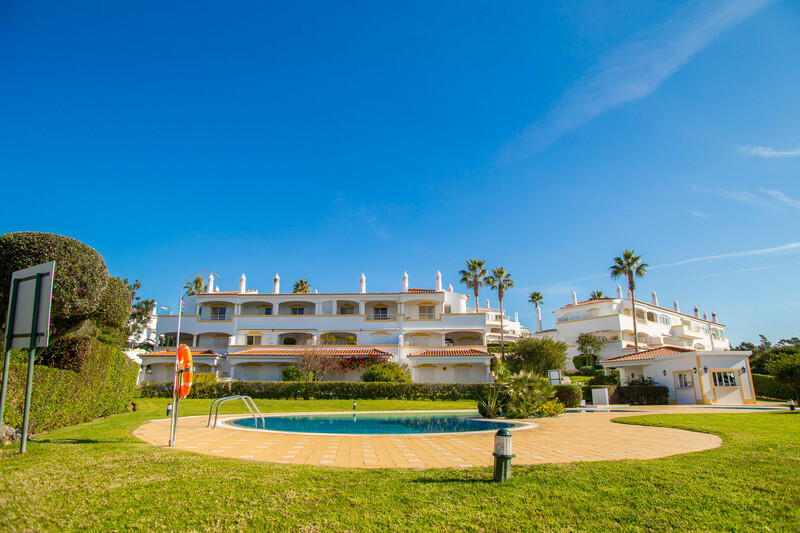 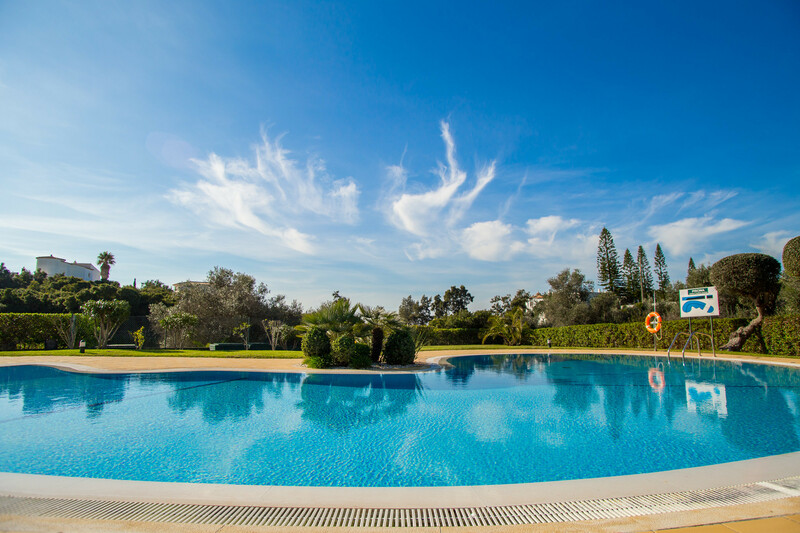 It also has access to a communal swimming pool and is only 500m from the Vale do Milho golf course. 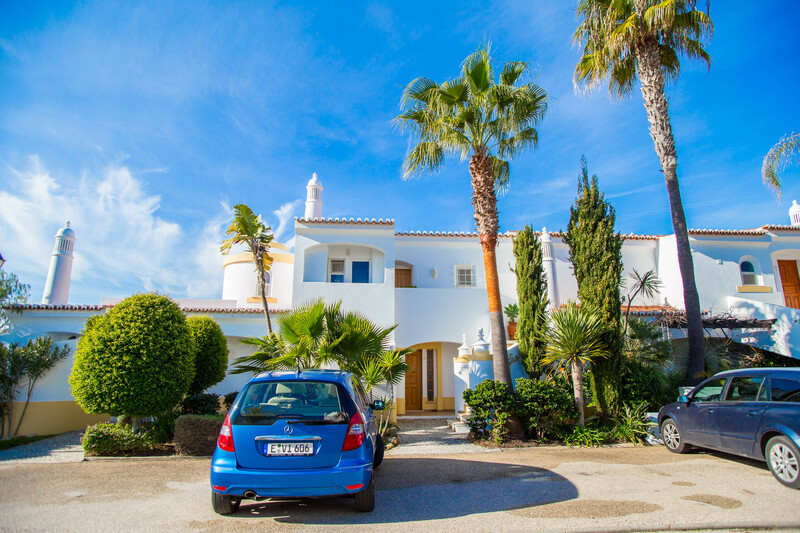 Car rental not necessary. 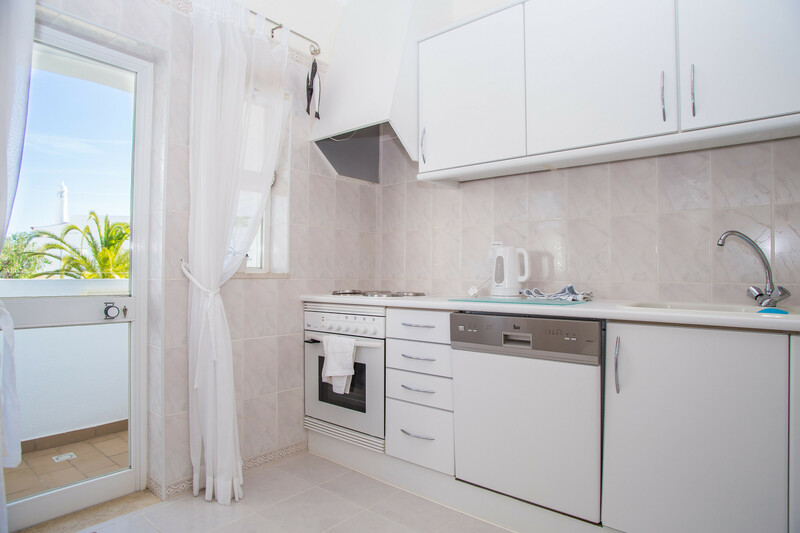 There is a small local supermarket and some good restaurants in the immediate vicinty. 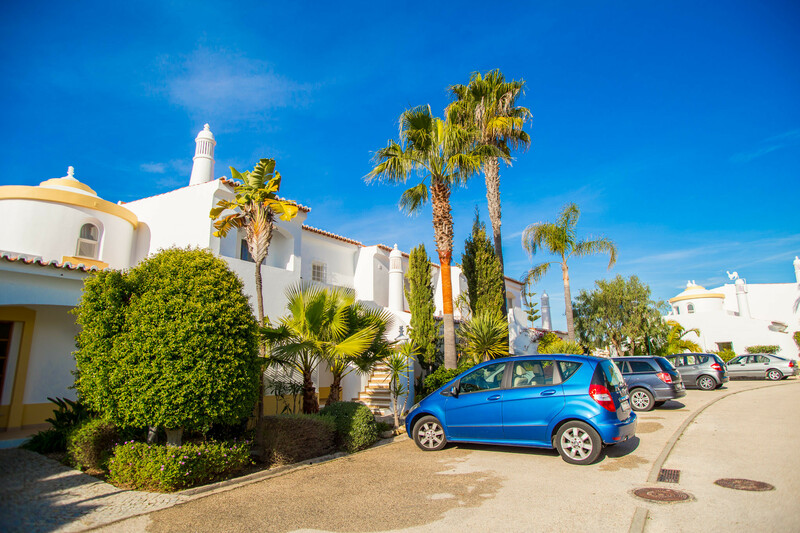 Vale Centianes beach is a 20-minute walk away and local buses stop nearby. 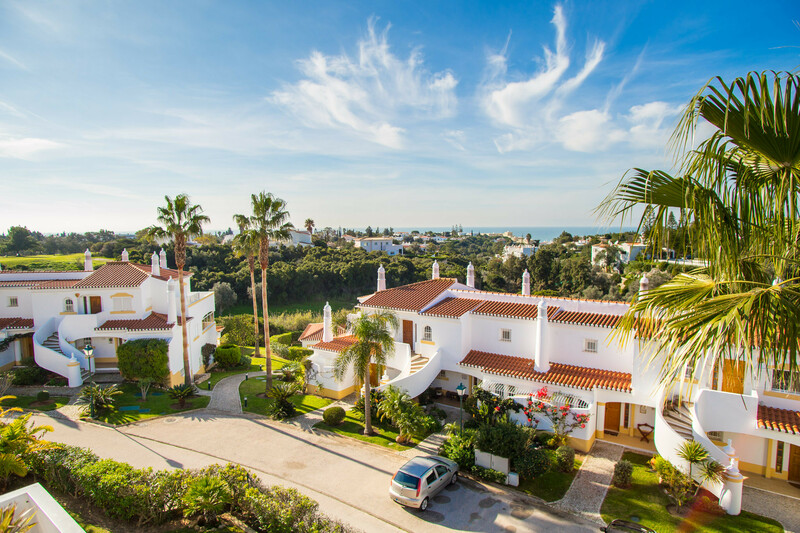 The delightful coastal town of Carvoeiro is only a few minutes' drive or bus journey away. 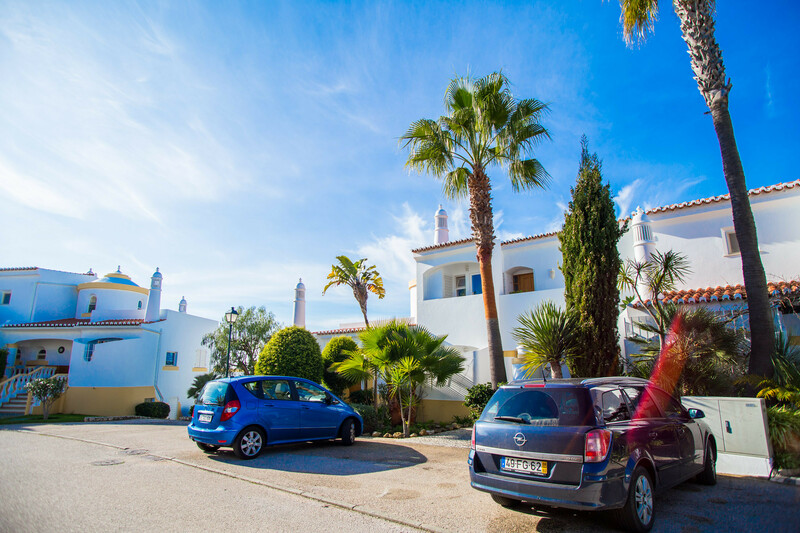 The town centre boasts a lovely sandy beach from where there are boat trips to the vast array of caves and caverns, a scuba diving centre, kayaking, pedaloes for hire and much more. 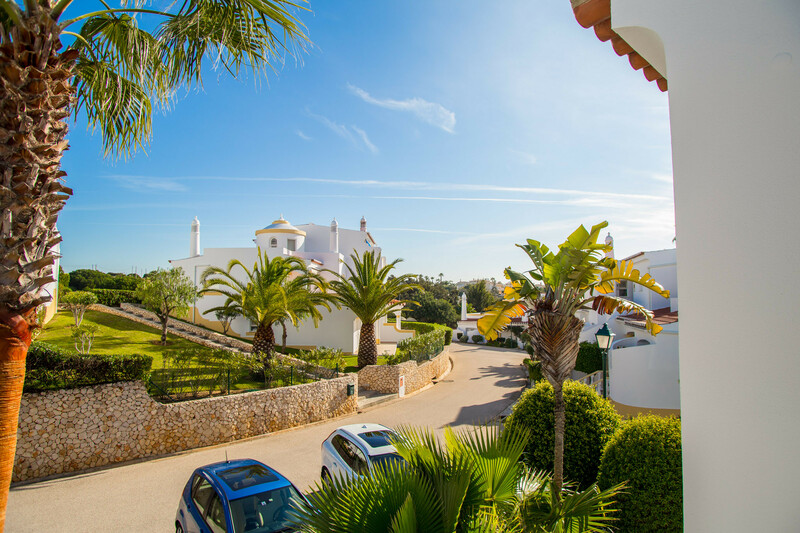 Carvoeiro offers numerous superb bars and restaurants and many open-air musical events throughout the summer months. 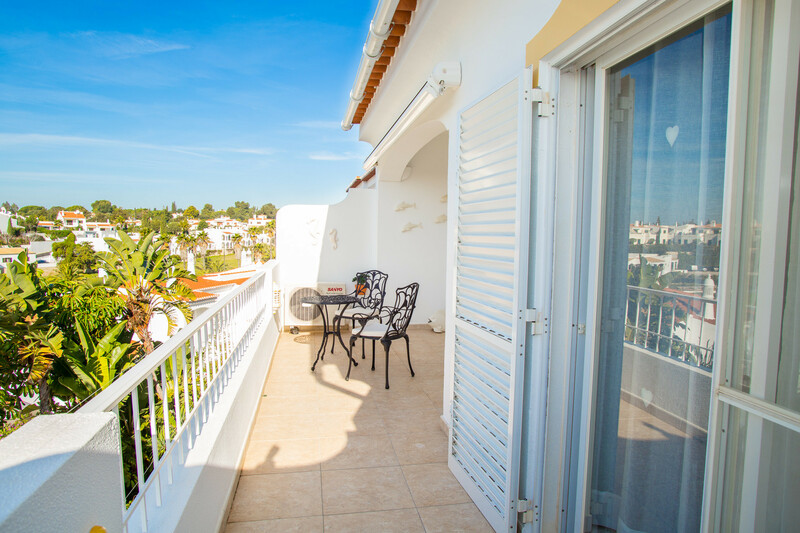 The apartment in Lagoa has 1 bedroom and has capacity for 4 people. 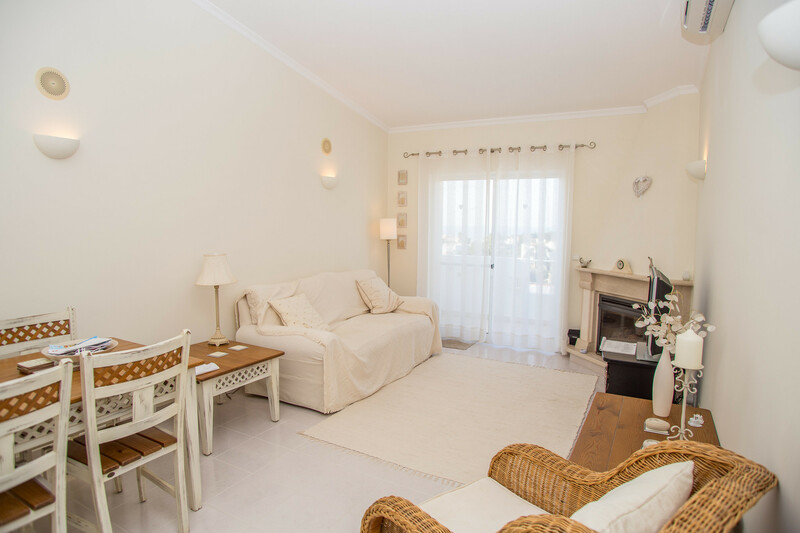 The apartment is 65 m². 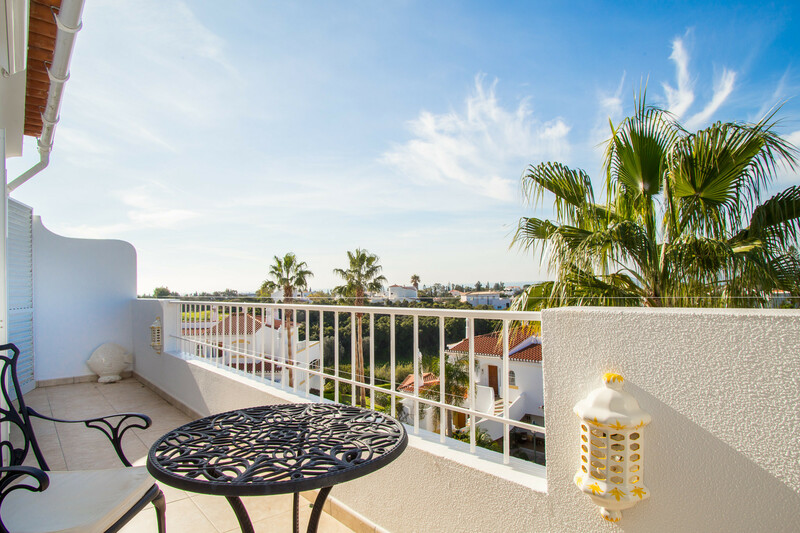 It has views of the golf course. 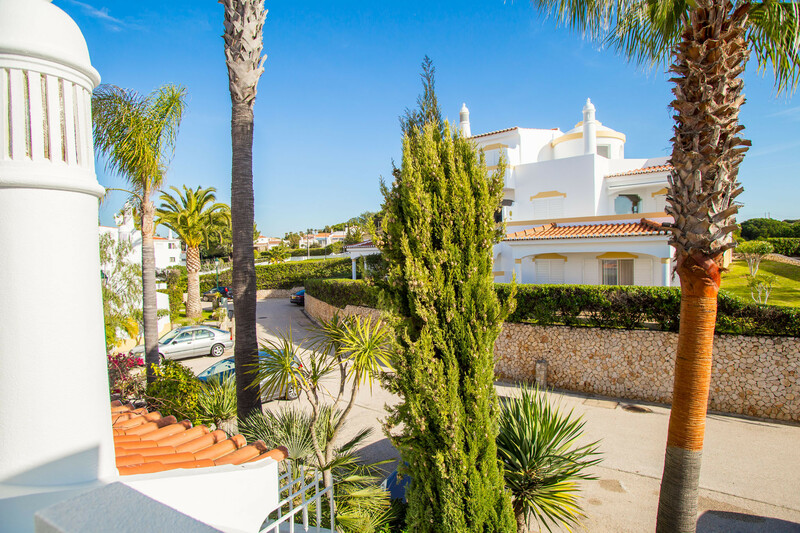 The property is located 500 m from Vale da Milho golf course, 2 km from Praia do Vale Covo sand beach, 3 km from Carvoeiro and the Intermarche supermarket, 5 km from Vale da Pinta golf course, 7 km from Estombar train station and Lagoa bus station, 8 km from Slide and Splash water park, 16 km from ZooMarine theme park and 55 km from Faro airport. 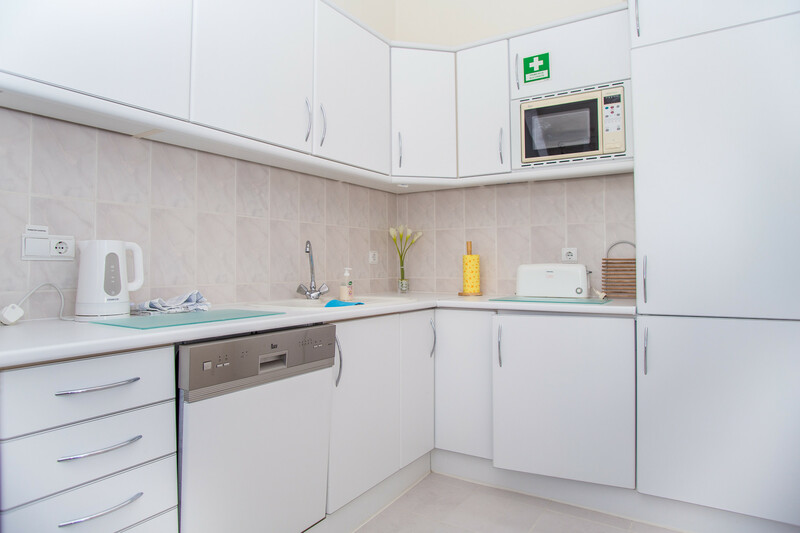 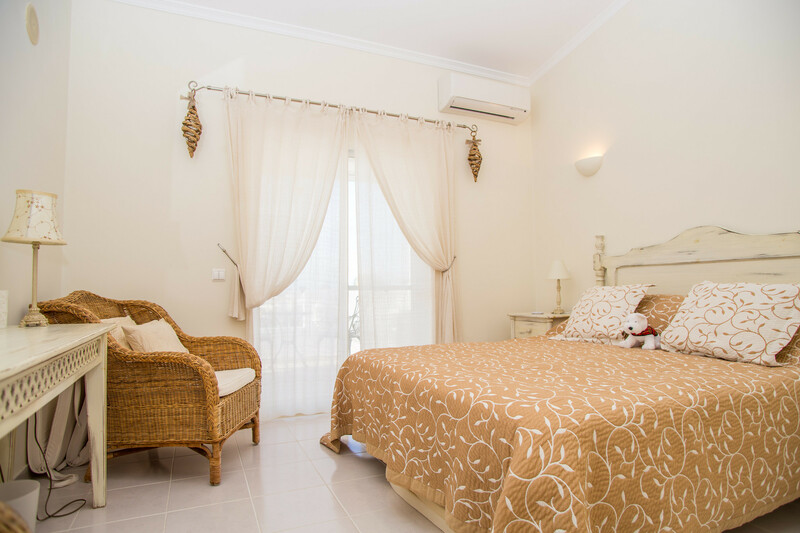 The accommodation is equipped with the following items: garden furniture, fireplace, iron, internet (Wi-Fi), hair dryer, balcony, electric heating, air-conditioned, communal swimming pool, open-air parking in the same building, 3 fans, tv satellite (Languages: English). 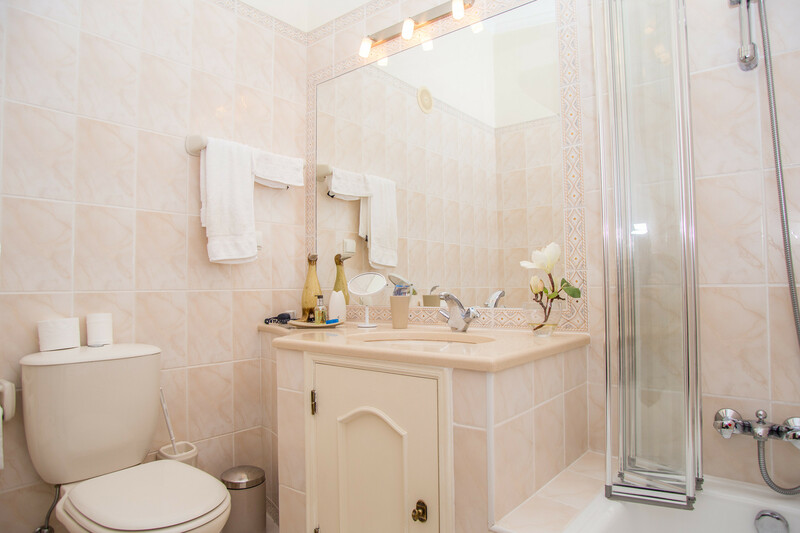 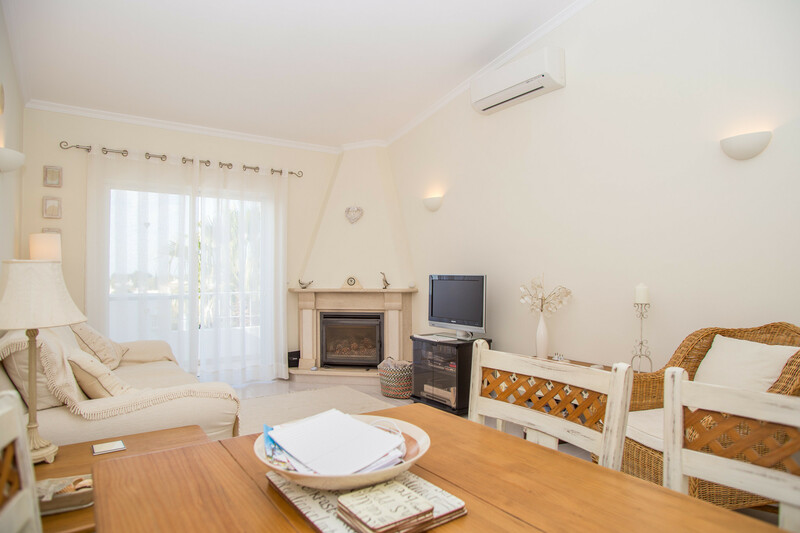 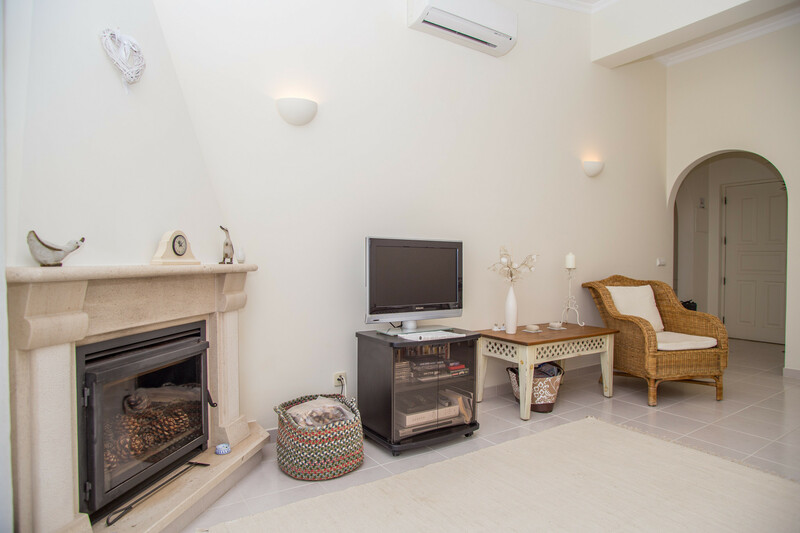 TV Satellite (Languages: English), garden furniture, fireplace, iron, internet (Wi-Fi), hair dryer, balcony, 65 m² property, 65 m² plot, electric heating, air-conditioned, communal swimming pool, Open-air parking in the same building, 3 fans. 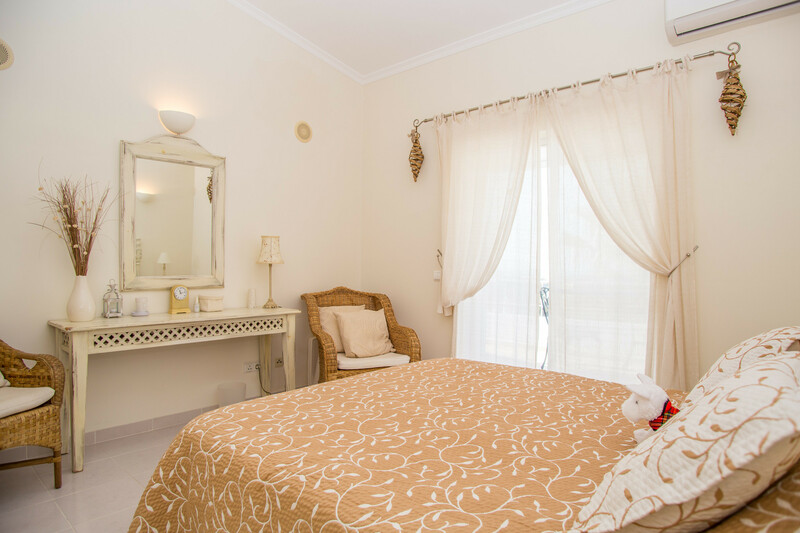 Amount: €250.00 /booking.Payment method: credit card, to be paid by bank transfer.With the last payment.